The United States Air Force Academy is a military school for officer candidates in the United States Air Force. The campus is located in El Paso County. The academy’s first graduate class was in 1959. Graduates of the Academy’s four-year program receive a Bachelor of Science degree. 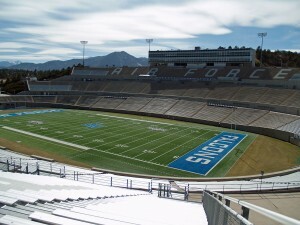 The United States Air Force Academy attracts over 1 million guest per year. The academy allows for hands-on training with simulation and on-field experience, making it an exceptional educational facility. 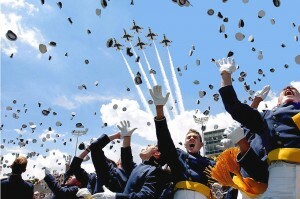 The Air Force Academy is an accredited four-year university offering Bachelor’s degrees in a variety of subjects. Bachelor degree majors range from Engineering to Sciences. Active-duty Air Force officers work closely with students, giving instruction with experience. Over half of all faculty is made up of active-duty Air Force officers. Permanent professors are nominated by the President of the United States. These professors are very valuable assests to the Air Force Academy and can share thier knowledge until the age 64. All cadets will graduate with a Bachelor of Science degree. Many cadets are involved in research pertaining to their major, allowing for a more hands-on approach to learning. In order to be eligible to enter the Academy, a candidate must be unmarried with no dependents. They must also be of sound moral fiber. The candidate must be at least 17, but younger than age 23. The candidate must also secure a nomination to the Academy which is normally from a United States Senator or Representative. There are also requirements for strong academics and physical fitness. Class sizes are small with some being as few as 20 students. The school offers many technical majors and is the highest ranked of all undergraduate universities in federally funded research, which surpassed $60 million in 2010. The campus of the Academy covers over 18,000 acres on the east side of the Rocky Mountains. 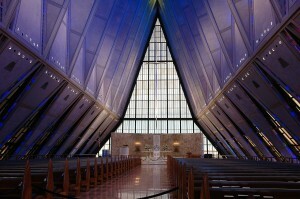 The Air Force Academy is known for its accordion-like chapel. The buildings are very modern and are designated as a National Historic Landmark. The grounds are also home to the Aeronautics Research Center which contains training and researcg facilities including subsonic, transonic, wind tunnels, and even simulators. The school also features Arnold Hall which is the cadet social center. It houses a 3000 seat theater, lounges, and dining facilities. The school also has extensive training and athletic facilities available to cadets to get them into peak physical form. The school offers a 24-hour foot patrol in order to ensure the safety of its students. Intermural sports are one of the most popular extracurricular activities for students. Many find that it is a good way to distress and increase their physical fitness. There are many extra-curricular activities available and most students find that these programs complement their schooling life. School life is extremely structured so many students will read or do personal activities when they are not in class. All cadets at the Academy take part in the school’s sports program. The program is designed to make sure all cadets are in the best physical condition and peak physical form in order to prepare them for their duties as officers. The primary aspects of the athletic program are to develop leadership and character. There are a wide variety of activities required including swimming and boxing to teach survival skills. Fitness tests are required by the cadets in order to ensure that they are progressing physically to meet the challenges they will face upon graduation. 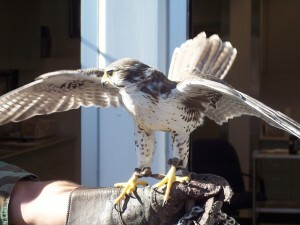 The school’s sports team is the Falcons. The traditional rivalries are with the Navy and the Army. Cadets are expected to compete in intramural sports during their time at the Academy including basketball, hockey and soccer. Many United States Air Force Cadets end up working and leading fulfilling careers with the Air Force. Some of them will become teachers and mentors to younger cadets joining the Air Force.